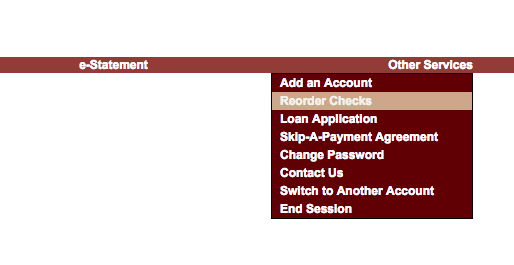 You can order checks right from Online Banking. Once you’ve logged in, click Other Services to the right in the top menu. From there, choose Reorder Checks. See the screenshot below for reference. Or, you can call us at 216.621.4644 to have us order the checks for you!